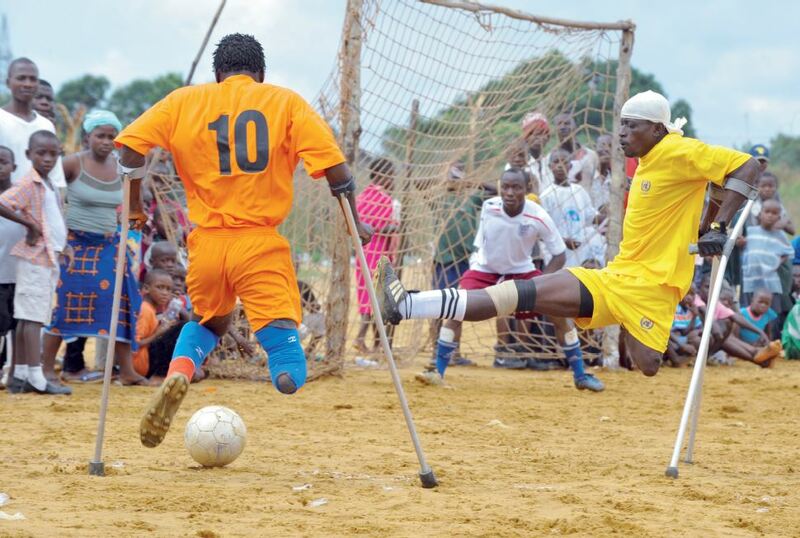 When UNMIL began to deploy in 2003, Liberia had been brought to its knees by two civil wars. While the country has been recovering, thanks in part to UNMIL, it continues to face significant development challenges. Yacoub El Hillo, the Deputy Special Representative of the Secretary-General (DSRSG) for Peace Consolidation, also serves as the UN Resident Coordinator and the United Nations Development Programme;(UNDP) Resident Representative. In those roles, he oversees the transition strategy from a peacekeeping mission to the post-UNMIL phase. DSRSG El-Hillo’s career with the UN has spanned 28 years, most of those with the UN High Commissioner for Refugees (UNHCR). In an interview conducted in October 2017, he described plans to continue UN support to Liberia’s development. How has your experience contributed to your understanding of the situation in Liberia and enabled you to make a difference here? This is my second time working in Liberia, initially I worked here during the war from 1996 to 1999. I worked in my own country, Sudan, before moving to the Somalia crisis in 1991. Then Tanzania, Liberia and Geneva. While serving in Geneva as UNHCR Chief of Staff, I was deployed to southern Afghanistan - just after the September 11 attacks – in an emergency capacity to open new UNHCR offices across the country. I have also worked at UN Headquarters in New York, in Iraq and in the Gulf countries. Soon after arriving in Geneva as UNHCR Director for the Middle East and North Africa, the so-called Arab Spring erupted: that was three years of madness. Then from 2013 to 2016, I was the UN Resident/Humanitarian Coordinator in Syria. That diversity of exposure and learning opportunities prepared me for this role. When I was here before, I saw this country at a terrible moment. I have many friends who are Liberians, and many who left and have returned. It was fantastic to come back to a Liberia that is not at war. I believe the UN, and UNMIL in particular, has a lot to be proud of, there is a lot of proof that the UN can make a difference. What were your first impressions when you returned after 20 years? Liberia is in recovery mode. I don’t think we can say Liberia has left the war behind just because there has been no war for 14 years. The process is ongoing. My background helped prepare me to deal with the humanitarian challenges here, but at the same time the experiences I had at UN headquarters, in Syria and elsewhere, and certainly the experience I gained since coming back to Liberia, have taught me that the bottom line for progress is getting development right. It was fantastic to come back to a Liberia that is not at war. I believe the UN, and UNMIL in particular, has a lot to be proud of, and a lot of proof that the UN can make a difference. Liberia achieve those goals energizes me and gives me the incentive to build on what has been happening here in the last 14 years. This is one of the biggest challenges we are gearing up to face. When UNMIL leaves, how do we continue providing credible support to Liberia in the absence of a peacekeeping mission that has had so much muscle and might? How can we stay the course as the UN and provide the proper push so that Liberia can remain a success story, not just in ;peacekeeping terms but also in peacebuilding terms? I hope, with our national, regional and international development partners, we’ll be able to extend credible support to Liberia, its Government and people. Liberia is in recovery mode. I don’t think we can say Liberia has left the war behind just because there has been no war for 14 years. Speaking of peacebuilding, you have multiple roles in this Mission, chief among them peace consolidation. What is peace consolidation and what you are working on in this area? As a concept, peace consolidation has evolved. When you deploy as a mission, you have a lot of civil affairs capacity, and then you begin to look at support to good governance, and that evolution was true in Liberia. The focus on peace consolidation comes with the closing down of a peacekeeping mission. UNMIL’s closure has been postponed before for one reason or another, previously the Ebola crisis. But this is the final phase. The focus on peace consolidation is an attempt to ramp up resource allocation to help implement programmes that are not typically found in peacekeeping missions. Liberia’s future absolutely depends on consolidating the gains of peace. As Resident Coordinator, I can tap into the incredible resources, chiefly human, of the UN agencies. The UN Country Team can help offset some of the gaps to be left with UNMIL’s departure. It is an incredible source of continuity: Those staying on include the World Bank, the International Monetary Fund, the African Development Bank, the International Finance Corporation and no less than 18 UN Agencies, Funds and Programmes. The beauty is being in the centre of all of these possibilities – as part of UNMIL, also as Resident Coordinator for the UN system, and then Resident Representative, leading UNDP’s work. Most of the issues that UNMIL has been dealing with --in governance, in growing the economy, in security sector reforms, in legal reforms, in good offices, in working with the Government to fight corruption and in decentralization-- are bread-and butter priorities for the UN Country Team. They will all be focused on consolidating peace and delivering inclusive development. We talk about the UN and not just UNMIL. Some of the agencies have been here for as long as UNMIL, others for a lot longer. We have been using the time remaining to prepare ourselves as much as we can for the transition to a post-UNMIL peacebuilding environment. To do that, we embarked on a number of undertakings, some called revolutionary, but all must-do activities in any transition context. I hope some of the things we are doing here can be replicated, or at least looked at, for future transition contexts so others will save time and resources and not have to reinvent the wheel. When UNMIL leaves, how do we continue providing credible support to Liberia in the absence of a peacekeeping mission that has had so much muscle and might? How can we stay the course as the UN and provide the proper push so that Liberia can remain a success story. Have you been focusing on long-term strategy or daily tactics, particularly as there are still crises in education, human rights, land use and many other areas? Because Liberia is recovering, you cannot afford to focus on one and not the other. You have to do both. You have to be strategic and forward looking, but also know the tactical realities and needed interventions. For Liberia to have UNMIL – at some point the largest peacekeeping mission in the world, in a very small country – says how huge the problem was. When Liberia went to war with itself, it was on fire, and the entire neighbourhood of surrounding countries was in trouble. Many countries in the sub-region were directly affected by Liberia’s collapse. When UNMIL came, this country was in a desperate situation. The damage was so vast and so deep. And it was not just damage in material and physical terms; it was damage to the social fabric that was already in tatters due to years of neglect by national institutions. But then Liberians elected a Government that came into office in early 2006, and that was the beginning of the recovery that continues today. It’s fantastic to see now that you can actually get in a soft-skin car and travel anywhere in Liberia without expecting to face security troubles. In the past, you could not drive 25 kilometres without being stopped by three or four different checkpoints run by drug-intoxicated eight-year-olds. It was complete chaos. Liberia is not chaotic today. Liberia is vibrant and upbeat. Liberians are getting a real chance to enjoy their country, which is essentially a rich country. But serious work is still needed. Maybe this is a reason why the country was always in trouble. It is such a well-endowed place, but very few were able to benefit from what it has to offer. It would have been difficult for Liberia on its own, or with limited support, to be able to break that vicious cycle of violence in which it found itself. In the past, you could not drive 25 kilometres without being stopped by three or four different checkpoints run by drugintoxicated eight-year-olds. It was complete chaos. Liberia is not chaotic today. 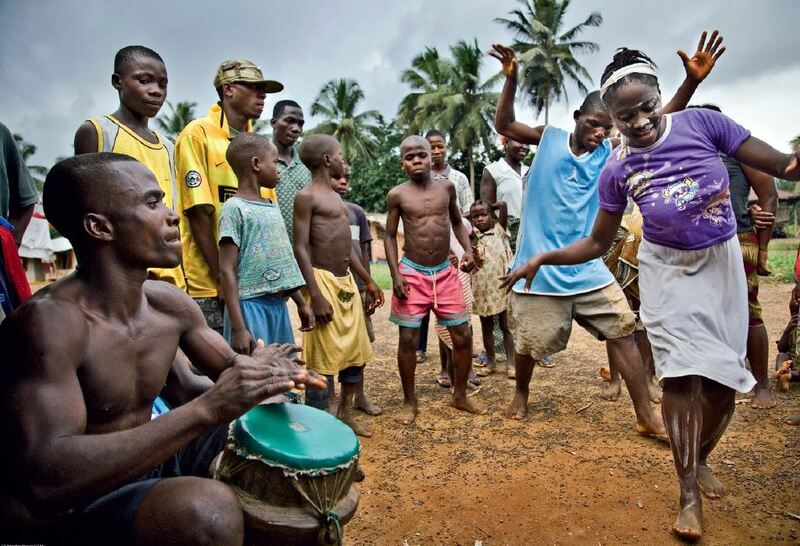 Liberia is vibrant and upbeat. It is important to stress that while Liberia is recovering, it is still fragile. This is why the UN should be ready. It’s an opportunity to show that we can get the transition right. Liberia has benefited from international attention, and has been on the agenda of the Security Council for 25 years. But now, nobody wants to talk about Liberia, and that’s a recipe for relapse. That is why we must keep pushing. The country has not fully recovered. The national institutions are still weak as Liberia is still using a highly centralized governance system. Everything is happening in Monrovia, not in remote areas. Many of the root causes of the conflict have not been addressed, and Liberians must agree on how they want to heal the wounds of the past, and with those who committed serious crimes. There is agitation, including by the international community, for justice to be done, and that is important, especially for the victims. In fact, there’s very little talk about the victims. When you talk about reconciliation, it’s usually about individuals who committed crimes during the war, but it goes way beyond this. Reconciliation is about healing a nation that remains traumatized because of what happened and because of the brutality with which it happened. The barbarity with which the war was conducted in Liberia, I haven’t seen it elsewhere. It was beyond human comprehension how far people went in destroying fellow human beings. It is important to stress that while Liberia is recovering, it is still fragile. This is why the UN should be ready. A generation was lost to the war, and Liberia is in the process of losing another generation because 62 per cent of the children are out of school. Liberia is well endowed. It could feed itself and half of the continent. Rainfall here is among the highest in the world. The human power is here. But Liberia has relied too heavily on extractives – rubber, iron ore, timber. Agriculture was hardly taken seriously; it was looked down upon, and that is why the country remains an importer of most of its basic food commodities. In the last couple of years, the prices of Liberia’s key commodities went down on the global market. Couple that with the shock of Ebola. The Liberian economy was doing well until in 2014 with a growth rate of over 7 per cent. Today it is negative growth. Reconciliation is about healing a nation that remains traumatized because of what happened and because of the brutality with which it happened. The barbarity with which the war was conducted in Liberia, I haven’t seen it elsewhere. By talking about these challenges, which require a long-term strategy and also daily tactical interventions, I don’t want to take away from the difference made in Liberia by the people and Government, supported by the UN, UNMIL in particular, over the past 14 years. In those 14 years, are there a few watershed moments that stand out in your mind as notable in enabling your recent work? One of the main challenges that Liberia has faced is in how to govern itself. Liberia suffered from bad governance for far too long, and this was compounded by the civil war. The significant deployment of peacekeepers helped stop the war and stabilize conditions across the country. That saved lives. And at that time, there were a number of things the UN worked on with national stakeholders to put in place. The two elections held in 2005 and in 2011 were significantly aided by UNMIL, directly. The successful elections in 2017 resulted from investments UNMIL made early on. This third election was a purely Liberian product. The mandate of UNMIL was specific about what UNMIL could and could not do to support the electoral process. Liberia had come to the point where, for the most part, it conducted the elections by itself. UNMIL built many physical things, including bridges that otherwise would not have been built. UNMIL also maintained roads in the hinterlands. My focus has been more on the software aspects. Software is indispensable because that is what Liberia needs to be able to extend state authority, decentralize and deliver services in all parts of the country. And that’s always a process, not an event. I hope the next presidential election, six years forward, will be even better than the one in 2017 in terms of the opportunity for all Liberians to exercise their franchise without any difficulty. On the roads and bridges, what do you think about peacekeeping operations building basic infrastructure: does it lead to expectations that may not be fulfilled when missions close? The problem goes back to how the UN is configured, in addition to how the UN deploys in peacekeeping. Any resolutions deploying a peacekeeping mission are compromise documents because there are certain fundamentals that Member States would not want to compromise on, rightly or wrongly. A colleague used to say that these resolutions are a study in ambiguity, and they should be used as platforms, not as ceilings. It depends on the creativity of the people on the ground how to use these resolutions to make a difference. You come to a country like Liberia where you know that because of governance challenges, there was no will or resources to build infrastructure. And Liberia remains that way, to a large extent, up to now. It remains Monrovia-centric, and that’s why some one third of Liberians live in and around Monrovia. UNMIL used the resolutions that authorized it as a platform, not as a ceiling, and that’s why the engineers were fixing roads and building bridges. But there were Member States that were not in favour of this approach and would even block passage of the budget, arguing that these activities are not part of peacekeeping. The counter argument, of course, is that you cannot keep the peace if your troops cannot move, so these roads and bridges were enablers to peacekeeping. Yes, they are not core peacekeeping functions, but without a bridge, you cannot get your troops to the other side. On raising expectations, it’s a systemic problem that goes back to how the UN is configured but also how the UN deploys. On one side, you have these peacekeeping or political missions. On the other, you have the other UN Agencies, Funds and Programmes. Those are two different worlds. We are joined up at the UN Charter, but diverse in our unity. Let me give you an example about setting up expectations beyond mission closure: UNMIL is leaving and can gift assets, including fleets of cars and equipment, furniture, machinery and spare parts. All of that can go to the Government, which is great because the Government needs it. But UNMIL cannot gift to a UN agency. If you want it, you pay for it. You cannot even redeploy these assets. Yet you cannot pass them to a continuing UN presence to enable work on the very issues that you know Liberia will continue to face, including fixing roads and bridges. Member States don’t allow this because they say development work’s funding sources must be different. If you gift assets to other UN entities from a peacekeeping operation, that means the UN is “double-dipping.” It’s not a valid argument, in my view. In this moment of transition, when we have high hopes that the UN is going to reform itself with a new Secretary-General, we cannot accept that the UN can be two things, despite all the slogans of delivering as one. Since UNMIL came to Liberia, some US$8 billion has been invested in peacekeeping. How come we didn’t think of using some of this to build national capacity so that when the contingents leave or when the engineers are no longer out in the field, then the Ministry of Public Works can take up the responsibility and fix the roads itself every year, every rainy season? With the departure of UNMIL, we are basically back to 2003. This is the story. In 2003, Liberia didn’t have the capability or the machinery to do road rehabilitation. The country’s inability to prioritize its development interventions, coupled with the war, and with the deployment of a peacekeeping mission that at some point was larger than Liberia itself, produced an environment in which Liberia continued to be dependent. We are at the stage in Liberia of better governance, not yet good governance. There are many things that need to happen. And that’s our challenge as the UN. From the very beginning in peacekeeping missions, there must be a clear commitment to balancing investments in those contexts, to avoid bringing in limitless resources and then leaving a country unable to carry itself forward. The goal, from the start, should be to exit without creating a gap that can lead to relapse or a reason to reset the country to conflict. What’s your vision for peacekeeping that might address some of these challenges from the outset? Peacekeeping, in the traditional way, means you’re stuck forever or you leave a huge gap when you depart. In Liberia, a fragile country, the departure of UNMIL will leave many things at the point they were in 2003. But we are in the second year of a pilot project where assessed contributions to UNMIL can be made available for programmatic interventions by UN agencies. This is an important shift, and it should continue. But, as an example of the bureaucracy involved, in financial year 2016-2017, it took eight and a half months to negotiate the paperwork for this project. And we were left with three and a half months to do the work. Welcome to these two worlds, which I hope are beginning to discover each other and find ways of working with each other. Going forward, that discovery needs to be done much more quickly and with much greater force, so we are truly one UN. One UN is mandated to do peacekeeping and the creation of the security environment, while the other UN does the things that the country would need when the peacekeepers leave, such as work on building the basic social infrastructure, the economy, education and all of these existential priorities. WHO, UNFPA, UNDP and all the other UN entities working here were actually struggling to make ends meet. When Ebola hit, agencies received money they didn’t know what to do with. In fact, Ebola money is still being used up to today. When there is a crisis, the world is ready to give money. So how about agreeing that when we deploy a peacekeeping operation, we should help the UN act as one? Peacekeeping and special political missions may be integrated with resident coordinators, but what you’re suggesting is that they’re not truly integrated because of funding sources? If it was true integration, the UN agencies should have been funded through assessed contributions. You integrate in coordination, but then when it comes to actual delivery, you expect the agencies to rely on voluntary contributions. The merger needs to be all the way down for us to truly start talking about integrated missions. And that will take changing the mind set of Member States and also some of the agencies. This issue goes to the root of how we are diverse in our unity. Each one of these UN agencies are independently configured, independently mandated and independently governed, and each relies on traditional funding relationships with donors. Luckily, we don’t have a fractured UN in Liberia. You see that in the way we conduct business, in the way we work together. But there is still a challenge: there are UN entities here that did not receive assessed funding until last year, and what they did receive was not significant, in part because of Member State reluctance over this new way of doing business. They are not convinced. UNMIL’s budget for this year is US$110 million. Out of that, only US$5 million was allocated for programmatic interventions by UN agencies. I would have thought that because UNMIL is leaving, more, if not most of that money, would have gone to help prepare the ground for Liberia so the transition would be truly well-supported, and the massive resources drop that we expect when UNMIL leaves would not be so painful for Liberia, and would not create setbacks from an inability to muster or mobilize resources. This reality gives me sleepless nights. But we have been trying to mitigate the impact of UNMIL’s departure and be as ready as possible. What does the transition plan entail and what will it lead to? UNICEF would be able to do vaccinations, or whether WFP could do school feeding, or UNHCR help refugees repatriate. These activities are the bread-and-butter issues of those agencies. They will find the resources. This mapping exercise was focused instead on whether, collectively as the UN presence in Liberia post-UNMIL, we would have the joint resources, capacities and expertise to continue to deliver programmes that would consolidate peace. The result of this exercise helped us identify our institutional weaknesses and ways to address them. It was an important move by the Country Team in preparation for the post-UNMIL phase. We also conducted a comprehensive review to recalibrate and re-position the UNDP. As a result, UNDP made a number of surge deployments from headquarters and the Regional Center in Addis Ababa to strengthen the Country Office. We also needed to ensure that, when UNMIL leaves, the UN has a full-fledged human rights capacity in this country, because the human rights team that has been here was part of UNMIL. I am pleased that the Office of the High Commissioner for Human Rights (OHCHR) will continue to maintain a full-fledged presence. There are a lot of human rights issues that go to the heart of why this country went to war in the first place, in addition to ongoing challenges, for example, with harmful traditional practices and a justice system still too weak to fully deliver. The capacity review also allowed us to look at ways to strengthen the Resident Coordinator’s office, the entity that is expected to lead UN efforts in Liberia post-UNMIL. The Secretary-General’s decision of September 2017 to reinforce that office and empower the Country Team is in line with his vision for reforming the UN development system. Hopefully we will benefit from the attention, as we may be among the first test cases for this new approach. We have looked to see what alternative predictable funding sources we would need to deliver programmes for peace consolidation. Liberia has been on the agenda of the Security Council for 25 years, and was always on the radar. But when UNMIL leaves, there is a risk of Liberia dropping off that radar. We must stop that from happening. So, the establishment of the Liberia Transition Multi-Partner Trust Fund has been another initiative we took to mitigate the impact of the transition in terms of declining resources. This is US$130 million for three years that will support peace consolidation, human rights and priority development interventions through the joint efforts of the UN and its partners. We are also planning what we call ‘the Liberia moment,’ an international meeting to take place in March 2018, in Monrovia, when the new Government is in office, and before the departure of UNMIL, to create an opportunity for this Government to share its vision, and for the international community to commit to stay the course and support Liberia as it moves to the next stage. I hope the Secretary-General will attend because it would send a powerful message of assurance and affirmation to Liberians that, while UNMIL has completed its mission, the UN is here for the long haul, not fighting a war but fighting to deliver on the sustainable development goals, to consolidate the gains of peace and help this country to the next stage. And the event will be an opportunity to say thank you to UNMIL. The UN flag is going to keep flying at this building, sending a message to the Liberians that the UN is here even after UNMIL has left. We are also adopting the UNMIL headquarters in Monrovia as the new UN base where all 18 UN Agencies, Funds and Programmes would be co-located. Significant savings will be realized as a result of pooled services, such as security, power generation and maintenance. The UN flag is going to keep flying at this building, sending a message to the Liberians that the UN is here even after UNMIL has left. These are some aspects of our work to preserve the gains that have been realized in Liberia, thanks chiefly to UNMIL. They should not be taken for granted. We are trying to help Liberia build on them and avoid what otherwise would be a reputational risk for the UN. We are closing a success story in peacekeeping terms, and preparing to continue the journey responsibly. I am confident this transition will work, but it will require sustained support and predictable funding of the joint UN programmes to consolidate peace. With the unpredictability associated with any new administration, what’s your sense of confidence in the future of this country? I am more than optimistic because I believe Liberia deserves the optimism of us all. There is a Liberian awakening now, because they are beginning to see the beauty of their country without war, and they have come to the realization that not all the answers are found elsewhere. That’s what gives me hope that this country has a bright future. A lot of work remains to be done, by Liberians chiefly, but also by all of us. The legacies of the past remain problematic, of course. Liberia must tackle them head on, starting with the Constitution. We have been gently urging some course correction to instil a sense of confidence and a belief among Liberians that Liberia is ‘plan A,’ not ‘plan B. There is increasing recognition among Liberians that this is an untapped country. The time has come for Liberians not to look down on agriculture, and to stop relying on extractives. We are closing a success story in peacekeeping terms, and preparing to continue the journey responsibly. Liberia. Now it takes 21 days. In Rwanda it takes six hours, and you can do it online. So we have some work to do still, and I think it can be done. Recognizing that you have hope for the future, in the context of many challenges, what would you tell Liberians themselves? Be proud to be Liberian. Work together. Fix and correct course. Address the ills of the past that continue to hold you back. It’s not about better roads only. It’s about a better Constitution. It’s about better services. It’s about decentralization. Liberia has historically been Monrovia-centric, so for anything you needed from government, you had to come to the ‘big house.’ If you want a birth or a marriage certificate, or a driver’s license, you come to Monrovia. Decentralization is one of the laws stuck in Parliament, and it is work awaiting us in the next phase. The Local Government Act will mean delegation of authority to the regions and, more importantly, fiscal decentralization. The county service centres are an attempt to bypass the legal obstacle of everything happening from the centre. When I arrived in Monrovia in 2016, there were four centres operating. By the end of 2017, all 15 were up and running. For Liberians, this is not just about services but about reinforcing the sense of belonging, and preserving the unity and territorial integrity of Liberia. Otherwise, the tendency to have a stronger affinity to the country next door – sometimes easier to access for those living along the borders – will become stronger, leading to problems. What then would you say to the internationals staying to help Liberia move into the future? Celebrate that Liberia has attained a certain level of stability that no longer requires the presence of a peacekeeping mission. But then keep that thought for five seconds, and move on. Do not treat Liberia as a normal country that can support itself without help from the outside. This will come, but support in the period immediately after the departure of UNMIL will be crucial. We may have stabilized Liberia, but we have not empowered the country. We may have stopped the war, but we did not actually bring peace. The fragility of Liberia is real, the economy is weak and the systems require strengthening. The national institutions are too centralized and lack basic infrastructure. More roads are needed. Liberia will get there one day, but we’re not there now. That advice applies to us all, and hence the agitation in the United Nations over whether this is going to be a normal transition. And to the international community, I would add: We know corruption is rampant, but don’t withhold support simply because results have not been delivered on time. Liberia is a country that is forming, a country that has come from the abyss. We cannot leave it hanging. We must not disengage. There needs to be encouragement and incentive for investors. The real transformation is going to come not from public funding. It’s going to come from private-sector investment. This is where the country’s future lies. The day we deploy peacekeepers, we should deploy peacebuilders – the very same day. We are coming to the moment to celebrate UNMIL as it shuts down. I hope this moment of achievement will give us courage and clarity. We may have stabilized Liberia, but we have not empowered the country. We may have stopped the war, but we did not actually bring peace. And now UNMIL is leaving. So the UN of course will have to carry on. But we need to do better next time. The day we deploy peacekeepers, we should deploy peacebuilders – the very same day.